You can reach us anywhere through our worldwide sales network. To request further information simply use our [Contact Form] or feel free to contact your local sales office directly by phone. To find out more details about your local sales office, just click on your location on the map. 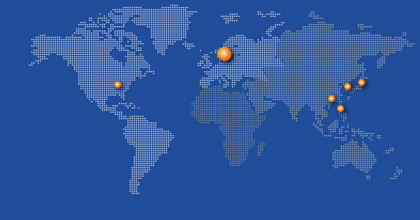 Through our distributor network, we are represented in more than 80 countries by different distributors.